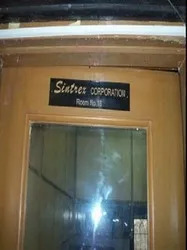 Incorporated in the year 1980, Sintrex Corporation has evolved as the trusted and leading business conglomerate as a manufacturer and exporter of large range ofLab Glassware & Laboratory Instruments. We also deal in and distribute pharmaceutical instruments. Wide range of scientific products offered by us includes Lab Photo Chemical Reactor, Multichannel Pipette, Membrane Filter Funnels, Quartz Glass, Vacuum Manifold, ATC Digital PH Meter, Laboratory Sieves, Sieves Shaker, Metabolic Shaker Bath, Digital Bulk Density Apparatus, Digital Cod Digestor, Digital TDS Meter, Antibiotic Zone Reader, Digital Conductivity Meter, Digital Tablet Friability Test Apparatus, Tablet Hardness Tester, Environmental Test Chamber, Muffle Furnace, Lab Vertical Autoclave, Sintered Crucibles, Sintered Buchner Funnels, Rubber Multipurpose Chemical Hose, Cuvette, Cylindrical Reaction Vessels, LDPE Wash Bottles, Wide Mouth Reagent Bottles, Pipette Pump among others. Backed by a team of dedicated and highly skilled professionals, who supervises and handles the manufacturing process at various levels, we have been able to achieve a leading position in industry. The experienced team of professionals enables us to produce the best quality products for the clients at minimal prices. The team has been of a great support in managing a client centric and professional approach internally. Our staff also pays keen attention towards the quality checkups of the products. In order to ensure supreme quality of the products, the quality analyst conducts quality assessments at different levels of production. We make no compromise in delivering world class and quality oriented products to the clients. The whole production process takes place under the watchful eyes of quality experts. The entire range of products is manufactured from the best quality raw materials procured from trusted dealers. Our products are thoroughly quality checked at regular intervals. Following the valuable guidance of our mentor Mr. Amit R. Kapadia and Ms Jyoti Kapadia, we have carved the niche for success. Their broad vision and in-depth knowledge has helped us to grow in this industry by many folds, earning impressive revenue of Rs 4 crores annually. Enormously wide market areas are served by us. Many renowned clients are undertaking our services. Our capability to make the right product available, within a specified time period, has led to grow by many folds in this industry. We also provide after sales services for our range of products as per the clients requirement. Team plays a very important role in company’s success. After adapting a difficult procedure we have hired professionals from the different parts of the country. All the professionals from different departments work in co-ordination with each other. R&D personnel hired by us conducts regular market surveys for introducing new features in our range. Sales and marketing personnel at our organization are working very hard to develop good records and documents of our existing clients. Being an able manufacturer, we have been able to create a vast assortment of products in our product line. Further our after sales services and easy payment modes has fetched us clients from across the market. Before using the filter for the first time, rinse thoroughly by suction with hot hydrochloric acid and then with hot water several times so as to remove loose particles and dust. It is important that the next lot of water should only then be added when the previous lot has been completely sucked through. 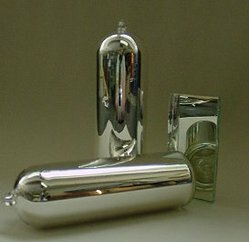 This method of Filtration known as "tearing through" is recommended for the cleaning of filters but should under all circumstances be avoided for analytical work. Mechanical Leaning is bast done from the reverse side of the filter by connecting the funnel with the faucet by means of a rubber tube. Pressure upto 15 p.s.i. recommended. The resistance to Thermal shock to fritted ware is less than non porous Laboratory glass ware. It is safe to dry it in airoven upto 110OC it can be autoclaved upto 121OC repeatedly. 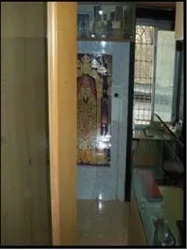 Fritted ware even can gradually be heated upto 5OOOC and cooled as per glass annealing without ill effect.